The weather pattern is about to become a little more active for the first week of October. Skies were thick with cloud cover, drizzle and light rain showers Sunday afternoon, holding temperatures in the low to mid 50's for much of the day. To the south, temperatures warmed into the 80's. 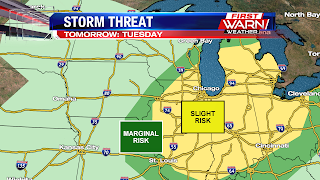 A frontal boundary lying across central Illinois will get pulled back north Monday as low pressure quickly moves across the Midwest. Increasing showers and isolated thunderstorms will occur for most across Wisconsin and northern Illinois Sunday night into Monday. 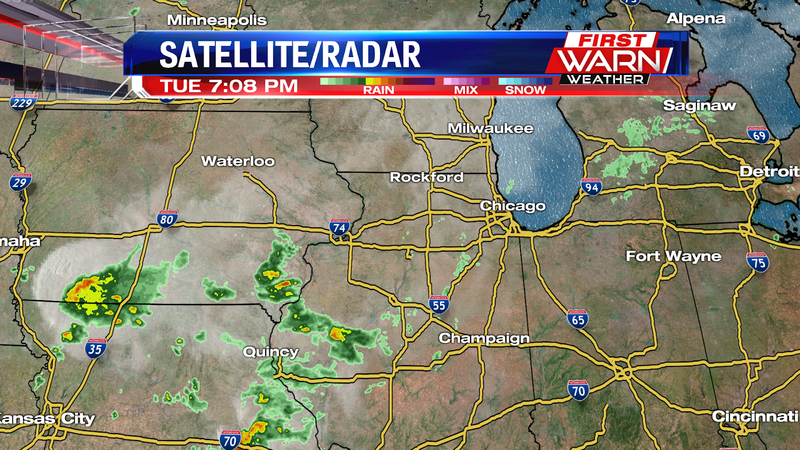 Some of the rain could be heavy across southern Wisconsin with a few locations receiving a half an inch by morning. The ongoing rain may initially slow the progression of the warm front, but it is expected to lift north between I-88 and Highway 20. As it does temperatures will warm into the 70's, and possibly 80's, south of the front. 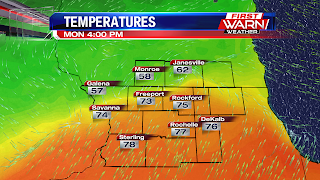 North of the front, temperatures will remain in the 50's and 60's. 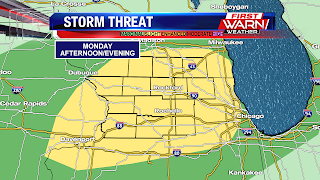 Increasing instability and wind shear (strong winds) in the atmosphere will prompt scattered thunderstorms to develop during the afternoon and early evening, with the highest coverage along and south of the warm front. Damaging wind gusts and heavy rainfall are the biggest concerns, however, the amount of wind shear in the atmosphere may lead to an isolated tornado or two late Monday afternoon and evening. Cloud cover and just how unstable the atmosphere becomes will be key in overall storm coverage, but the potential is there for big thunderstorms Monday. 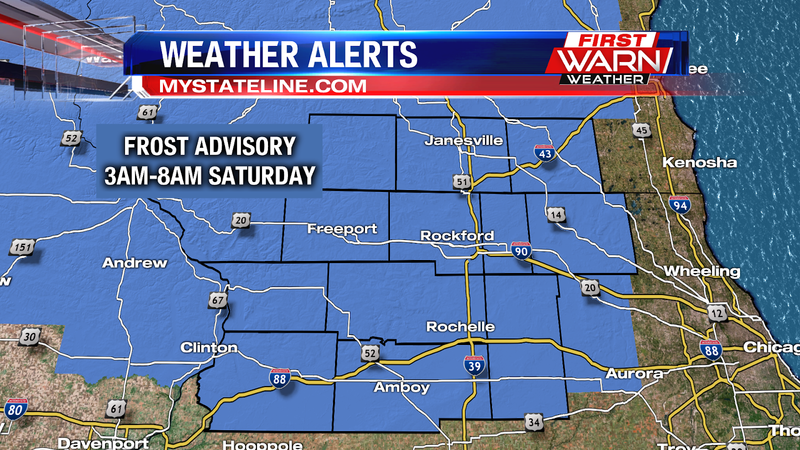 A Frost Advisory is in effect for the entire viewing area from 3am - 8am Saturday morning. High temperatures today will have a hard time breaking into the 60s, which is well below average for this time of the year. Speaking of below average temperatures, temperatures tonight are expected to drop down into the low to mid 30s here locally. With that said, if you have an plants outside you should either cover them or bring them inside. 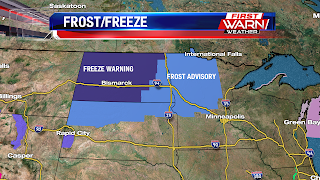 Frost Advisories stretch over portions of Iowa, Minnesota, Wisconsin, Michigan, South Dakota and North Dakota. 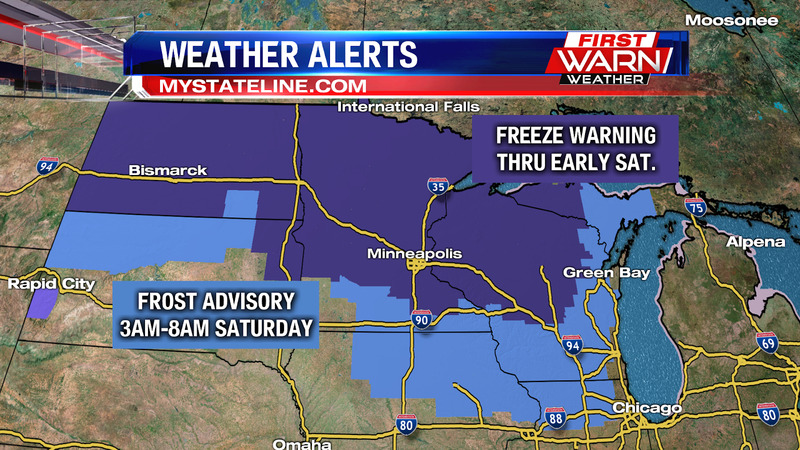 Areas that will drop even further into the 20s are under a Freeze Warning for early Saturday morning. 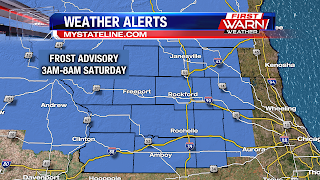 Saturday highs will again warm into the upper 50s, and have a hard time breaking into the 60s. However, 60s return Sunday and then we will warm up into the 70s early next week. Looking ahead to Wednesday, we will be flirting with 80 degrees. Temperatures will take quite the tumble Friday night into Saturday morning with the arrival of a strong high pressure system from Canada. Mostly cloudy skies will persist Friday afternoon holding temperatures in the mid and upper 50's. 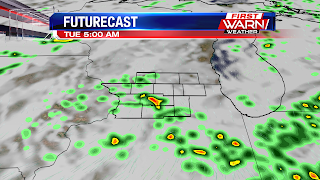 Light showers will be likely mid-morning Friday through early afternoon. Drier air will move in by Friday evening helping to clear cloud cover by Friday night. Dry air, clearing skies and light winds will allow temperatures to fall rather quickly Friday evening, and into the mid and upper 30's by Saturday morning. 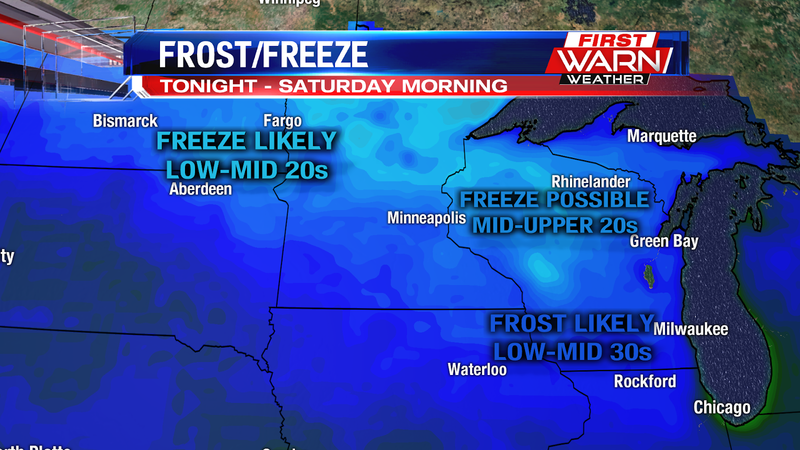 Our first frost will be possible early Saturday morning, while a freeze could take place over central and northern Wisconsin. 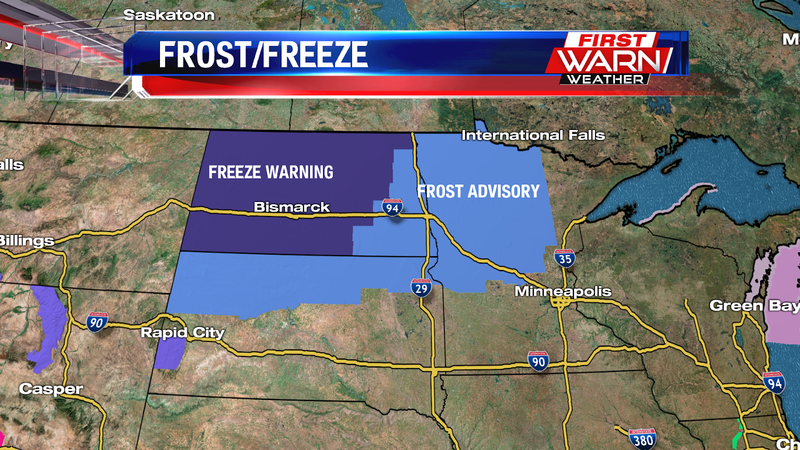 Already Frost Advisories and Freeze Warnings have been issued for parts of Minnesota, North Dakota and South Dakota. With the growing season still ongoing, I would not be surprised if some sort of frost headline is issued for the Stateline Friday afternoon. 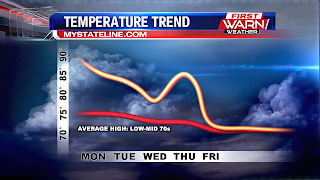 Temperatures will then begin their climb with southerly winds developing later in the weekend and next week. This will push overnight lows back into the mid and upper 50's. But there are some signs that point to an even colder air mass arriving towards the end of next week and next weekend. The longest day of the year was back on June 21, which is also the summer solstice. We have been loosing daylight hours since then. 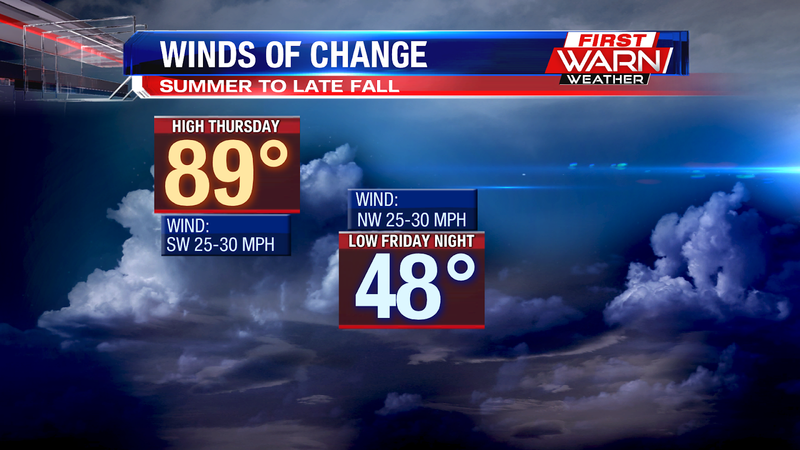 However, many have noticed it just recently as fall began back on Saturday September 22nd at 8:54pm. 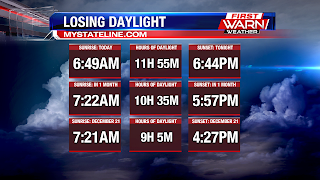 The sunrise today was at 6:49am and the sun will set tonight at 6:44pm, which gives us just shy of twelve hours of daylight. In just a week's time, we will loose 17 minutes. In a month's time, we will loose an hour and twenty minutes. 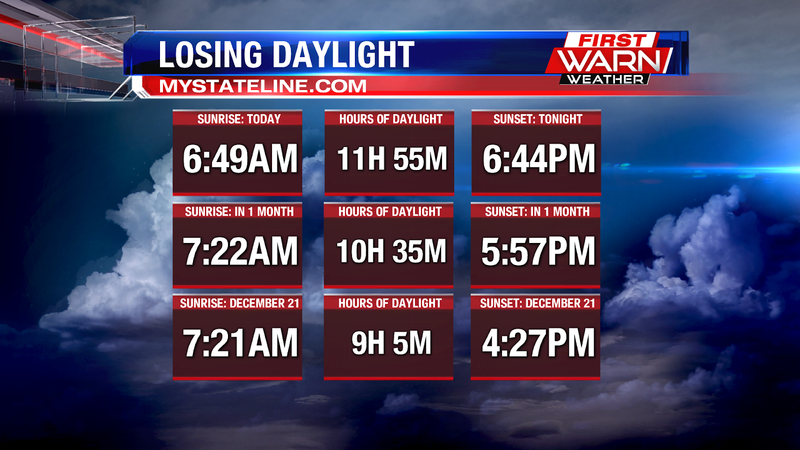 By the time we get to December 21st, the shortest day of the year and also the start of winter, we will have lost two hours and fifty minutes of daylight. On December 21st, we will only have nine hours and five minutes. A series of cold fronts moving through the Midwest will bring more of a 'late fall' chill to the Stateline for the start of the weekend. The first front came through Tuesday evening, bringing temperatures down from the low 80's Tuesday into the mid 60's Wednesday. 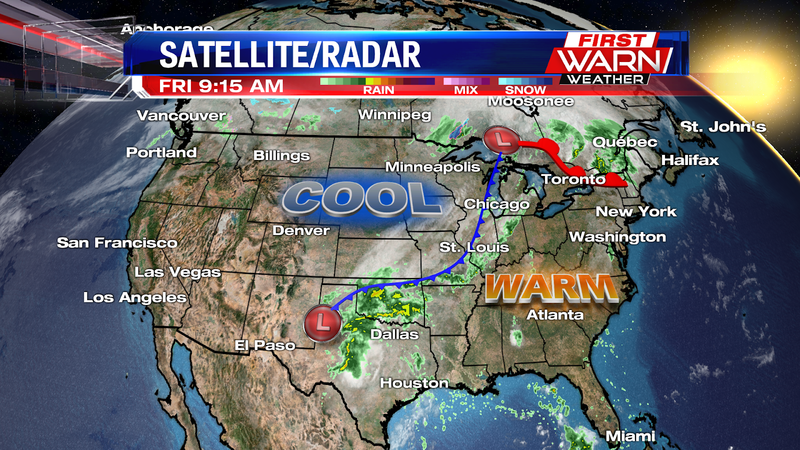 The second cold front arrives early Friday morning with another front quick to follow Friday afternoon. 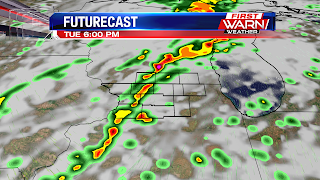 There may be a few passing showers Thursday evening and early Friday, but following the cold front Friday afternoon a much cooler air mass arrives into the Stateline. Cloudy skies and light showers will be likely Friday afternoon before a quick moving high pressure system sets in from the North. The drier air will work to quickly clear out the cloud cover bringing temperatures down into the upper 30's Friday night, possibly bringing us our first frost of the Fall season Saturday morning. Now, if cloud cover is slow to leave or we end up with a few showers that linger, then the likelihood of temperatures falling into the 30's won't be as high. 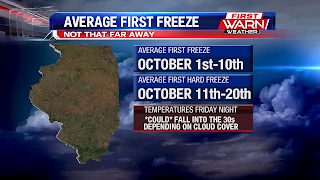 On average northern Illinois typically experiences its first freeze (32 degrees) usually within the first week of October. 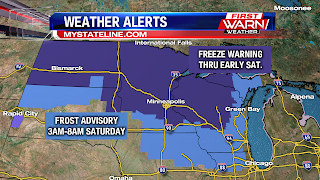 A hard freeze (28 degrees or cooler) usually occurs a week later. 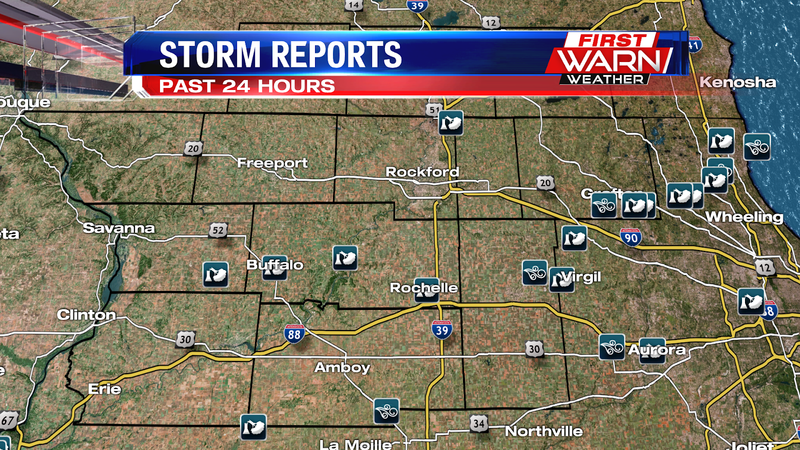 Yesterday's storms left a large amount of wind damage throughout the Stateline area. The National Weather Service did confirm a brief EF-0 tornado near Mechanicsville, Iowa. 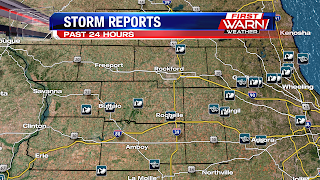 Locally, storm reports of wind damage were widespread throughout WCarroll, Whiteside, Ogle, Lee and DeKalb counties as a result of wind gusts upwards of 60-70mph. 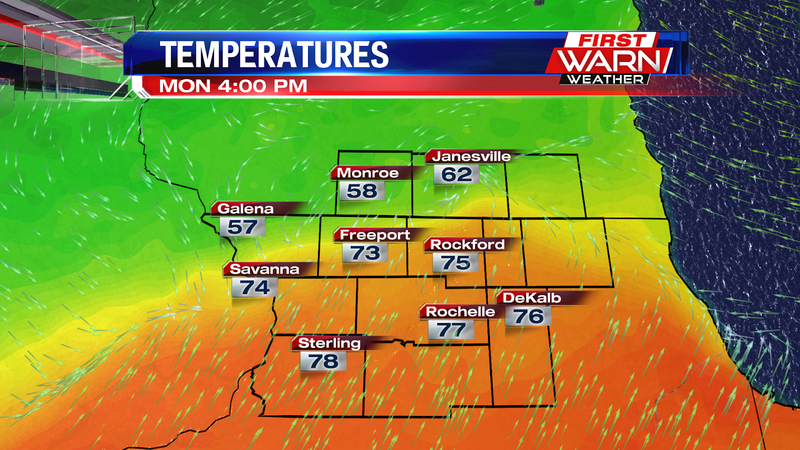 The cold front can be seen just off to our east because temperatures in front of it are still in the 70s. 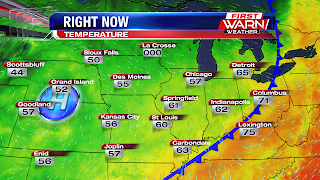 Behind the front high pressure is dominating, but much cooler air has funneled in. 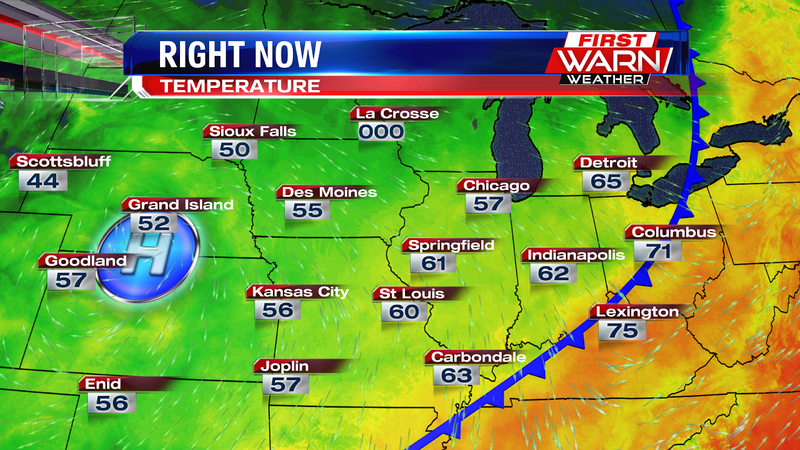 Speaking of cooler air, take a look at this. 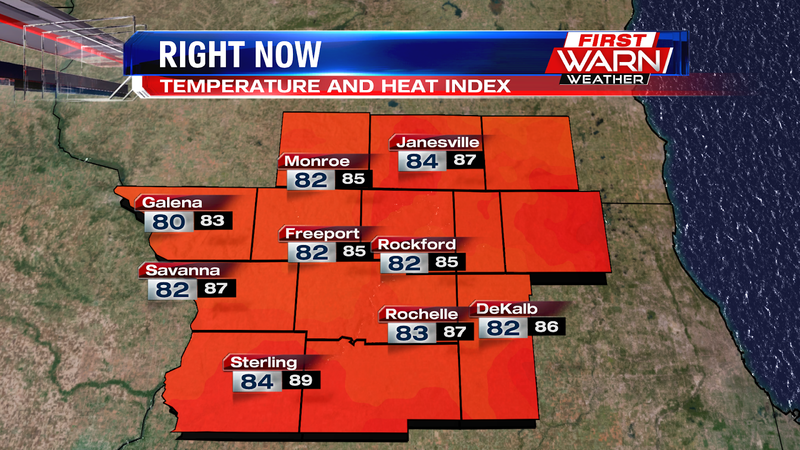 Ahead of yesterday's storms we warmed up into the lower 80s. Behind the front today's high will top out in the lower 60s. To put it into perspective, our average should be in the lower 70s. 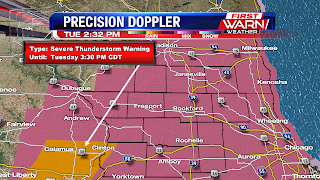 The Severe Thunderstorm Watch has been canceled for all of northern Illinois and southern Wisconsin as storms have been moving east towards Chicago and Indiana. We have received reports of wind and tree damage across Ogle, Lee, Carroll, DeKalb and McHenry counties, with the most significant damage reported in Milledgeville. 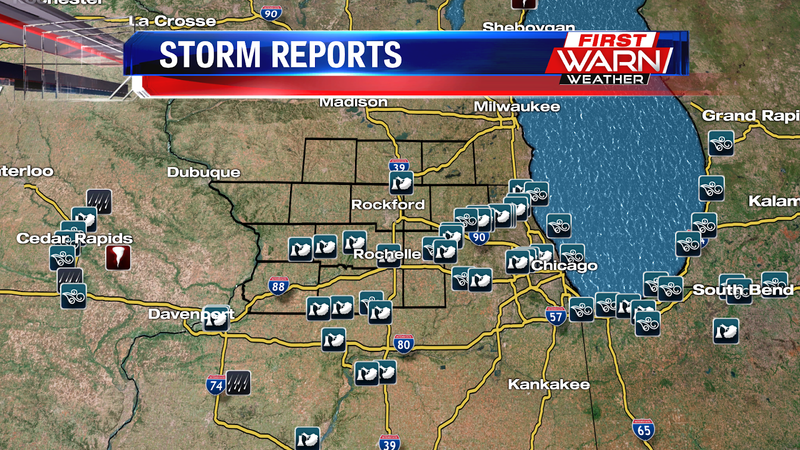 There have also been reports of widespread tree damage across southern McHenry County. 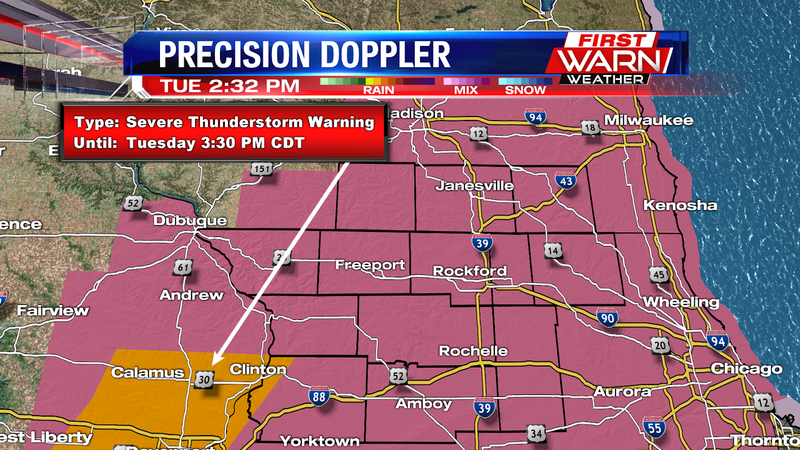 2:30pm Update: Severe Thunderstorm Watch issued for all of northern Illinois and southern Wisconsin until 10pm. Severe thunderstorms moving into eastern Iowa have had multiple severe thunderstorm warnings and tornado warnings Tuesday afternoon. 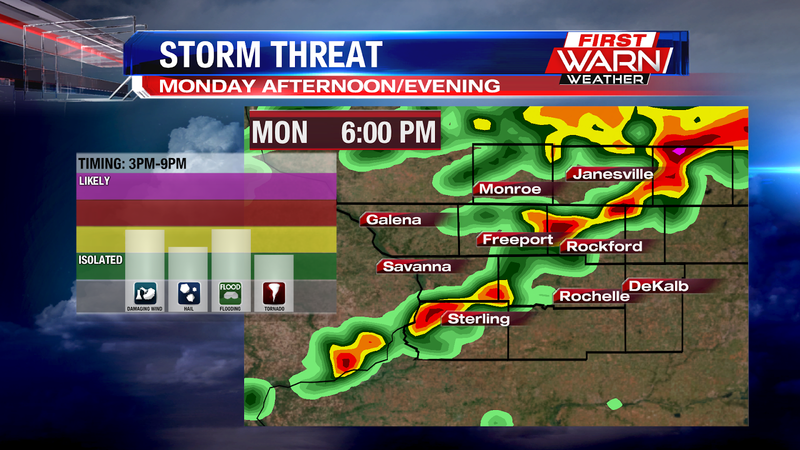 Thunderstorms will increase in coverage between 3pm and 4pm for northwest Illinois and between 4pm and 6pm for Rockford. 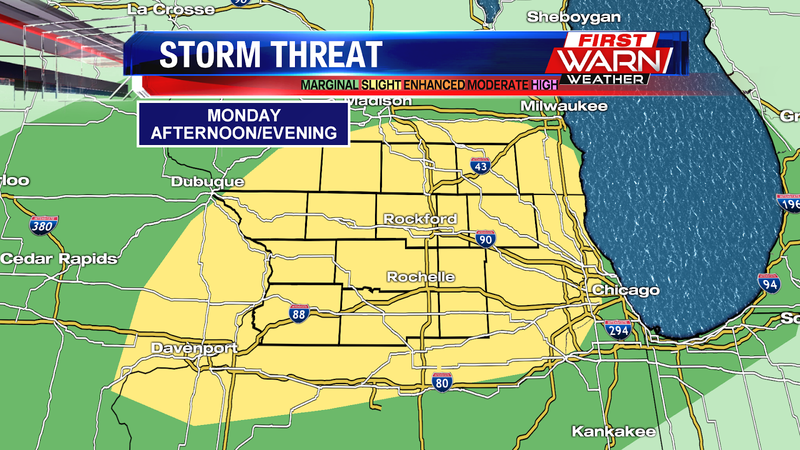 Biggest threats will be damaging wind gusts, but an isolated tornado can't be ruled out - especially west of Rockford. 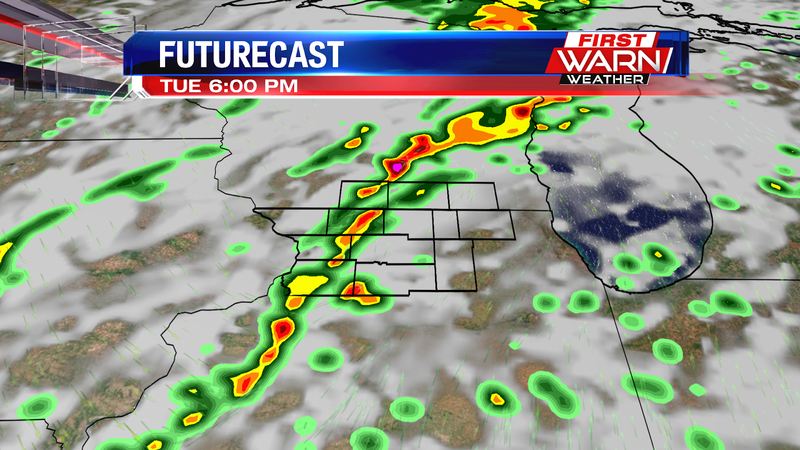 Once the cold front passes the storms will decrease in coverage later this evening. 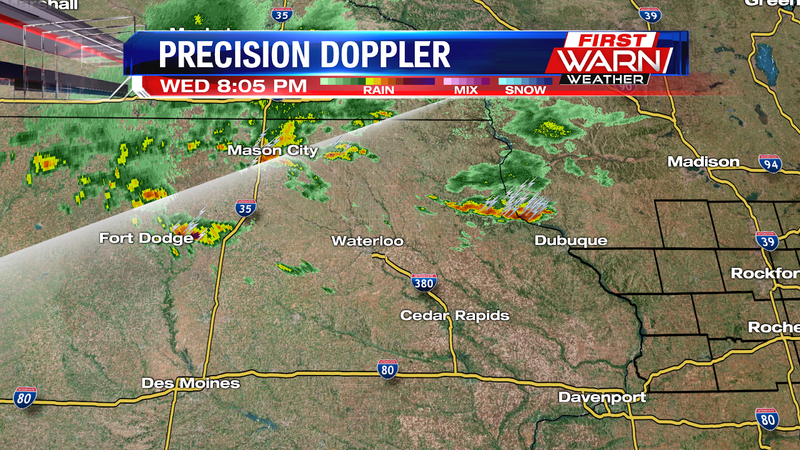 Satellite and radar shows showers and storms off to our west over central Iowa, and are working their way towards our neck of the woods. These showers and storms are associated with a cold front that will move through the area beginning around 3/4pm and lingering through the early evening hours. After the showers and storms move through then clouds will start to decrease. 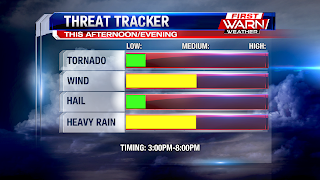 Some of the storms today will be potentially strong to severe. 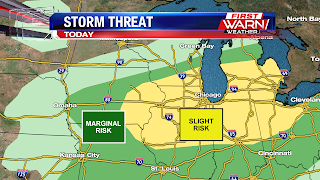 As a result, The National Weather Service's Severe Weather Prediction Center has placed the area under a slight risk for storms. On a scale of 1-5, a slight risk is a 2. 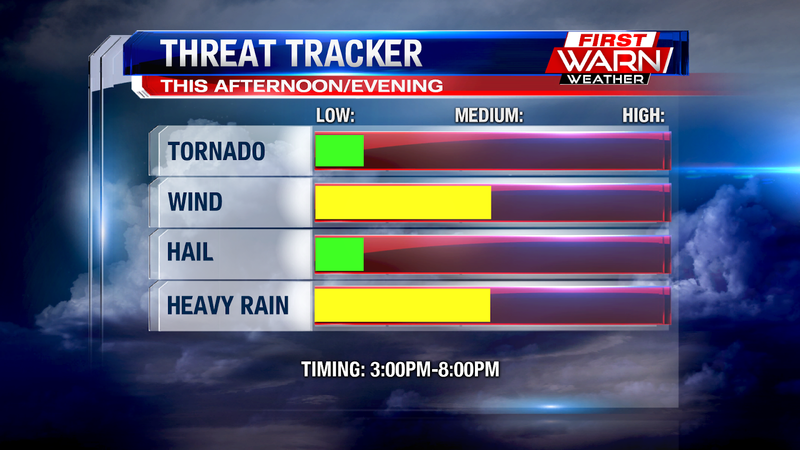 The main threat with today's storms will be the potential for heavy rain and gusty winds. Some hail and an isolated tornado cannot be ruled out, but it appears the best bet for any of that will be just to our east. The Stateline remains sandwiched between two storm systems Monday evening - one passing to the southeast and another moving across the High Plains. The storm system to our southeast is what brought the thick cloud cover overhead Monday afternoon. Most of the moisture with this system has been to the east over Indiana and Ohio, but a few spots of drizzle and light rain will be possible into Tuesday morning. A stronger storm system will move into the Midwest on Tuesday, pulling a cold front through northern Illinois and southern Wisconsin as it does so. 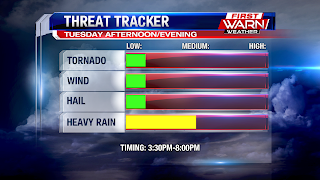 Despite skies starting off mostly cloudy Tuesday morning, there should be enough moisture in place and strong winds aloft that will help sustain stronger thunderstorms late Tuesday afternoon and evening. The cold front will pass through after 7pm Tuesday, with the greatest threat for storms occurring between 4pm and 8pm locally. Damaging winds and hail would be the biggest concerns, but isolated tornadoes can't be ruled out - especially east of Rockford - during the evening. 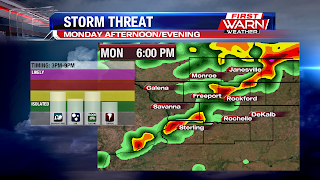 Be sure to stay updated with the forecast Tuesday, and make sure to have a way to receive watches and warnings should severe thunderstorms threaten the Stateline. After partly to mainly sunny skies to start of your Monday and the work week, clouds will increase late today and into the overnight hours. In addition, some light rain and areas of patchy drizzle will be possible throughout the viewing area. With the increased clouds and light rain, it might make it hard to see the Harvest Moon tonight. 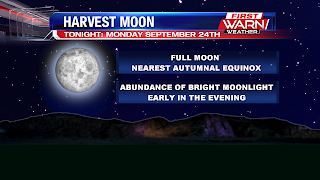 The Harvest Moon is the nearest full moon to the Autumnal Equinox (start of the fall season). The Harvest Moon gets its name because it is known to help farmers with its bright moonlight. 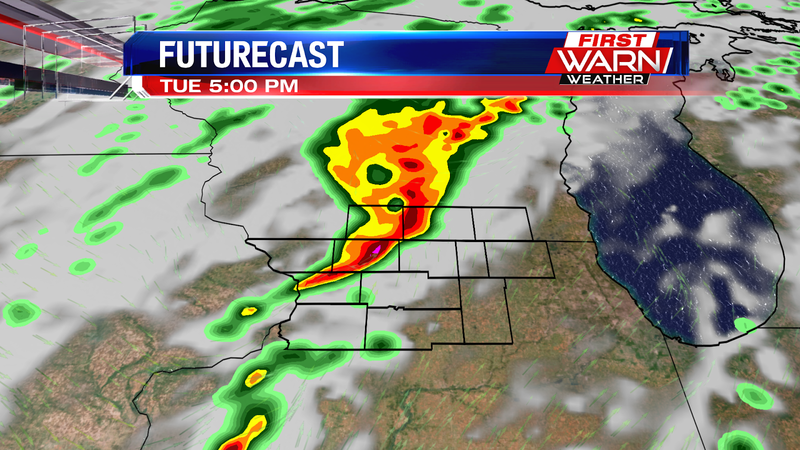 Going into Tuesday a cold front will move into the area during the late afternoon and early evening hours. 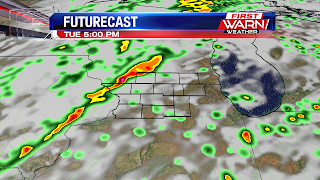 The cold front will bring the chance for showers and thunderstorms to the area. 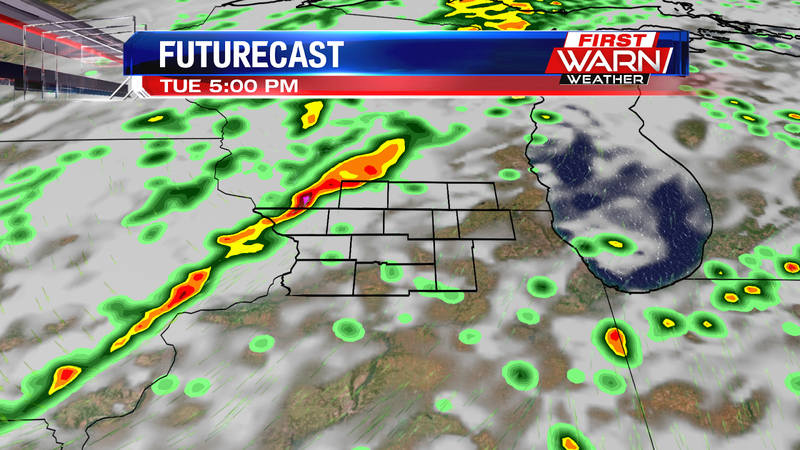 Some of the thunderstorms tomorrow could be strong with gusty winds. 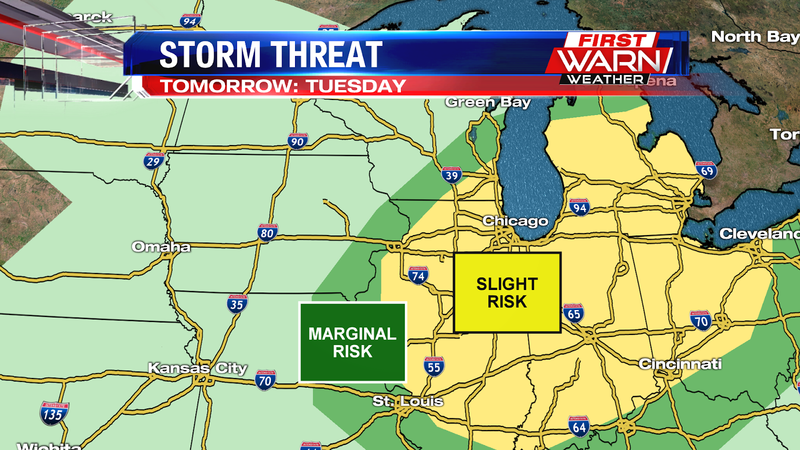 As a result, the Severe Weather Prediction has placed the viewing area under a slight risk. On a scale of 1-5, a slight risk is a 2. 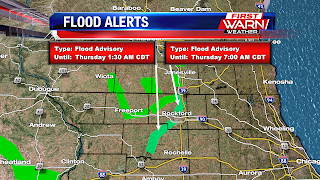 Flood Warnings and Flood Advisories continue for both the Pecatonica and Rock Rivers in northern Illinois and Southern Wisconsin. A Flood Warning remains in effect for the Pecatonica River near Shirland through Monday evening. Current river stage is at 12.2ft with flood stage at 12ft. Minor flooding has been occurring, but the river is expected to fall below flood stage late Monday evening. 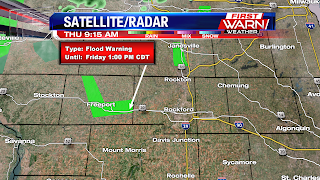 A Flood Warning will go into effect for the Pecatonica River near Freeport later this week. Current river stage is at 12.4ft, and rising. Flood stage is 13ft. 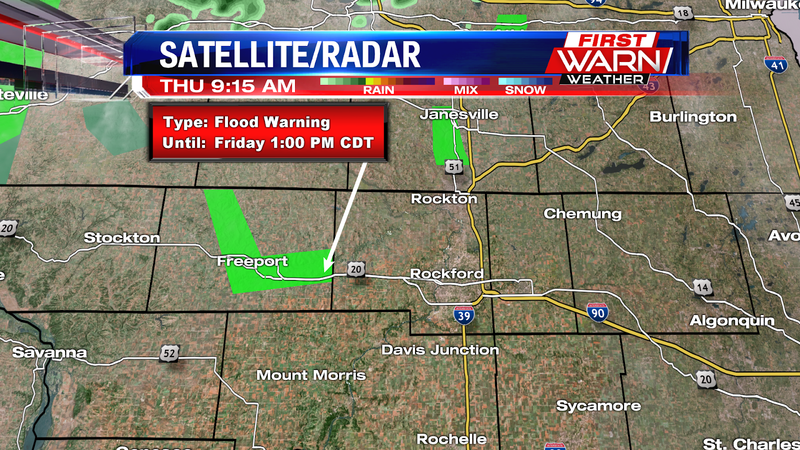 Minor flooding is expected later this week along the Pecatonica River in Freeport, especially the east side of town. The river level is expected to rise to 13.1ft by Tuesday morning, just over minor flood stage. 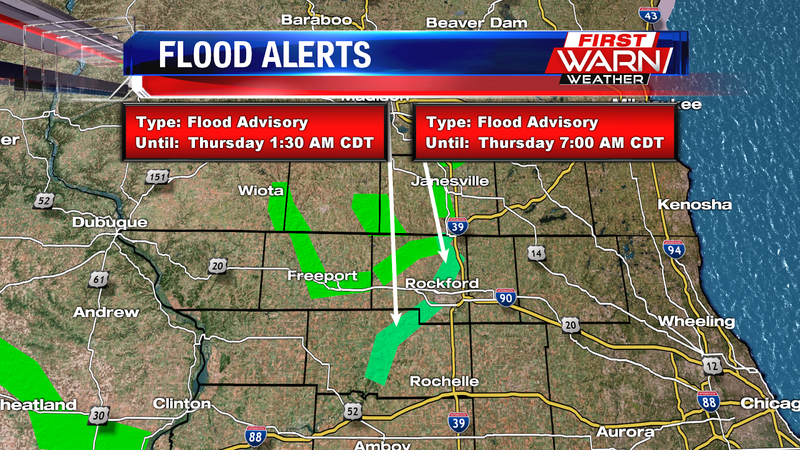 A Flood Advisory remains in effect for the Rock River at Rockton, Latham Park and Byron. While not expected to rise into minor flood stage, the Rock River is close in action stage, but is forecast to fall through the end of the week. The Rock River at Rockton is currently in action stage at 9.4ft - flood stage is 10ft. The river in this location is expected to continue to fall. The Rock River at Latham Park is currently at 9.6ft, with minor flood stage at 10ft. The current forecast calls for this portion of the river to fall through the week. The Rock River at Byron is also in action stage at 10.9ft - flood stage is 13ft. The Rock River in this location is expected to remain steady just under 11ft through the end of Monday. There isn't a lot of rain expected this week but showers and thunderstorms will add a little more water to the river basin of the Rock and Pecatonica Rivers. There is another system by the end of the week that does need watching, especially if a stationary boundary sets up over northern Illinois and southern Wisconsin. You can find the latest river levels, as well as any active Flood Warnings or Advisories here. 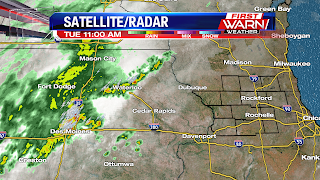 A cold front moved through the area this morning and brought a round of scattered showers and a few rumbles of thunder. The font pushed out the warm air of Thursday, and is ushering in cooler air behind it. In addition, winds will continue to be breezy behind the front. 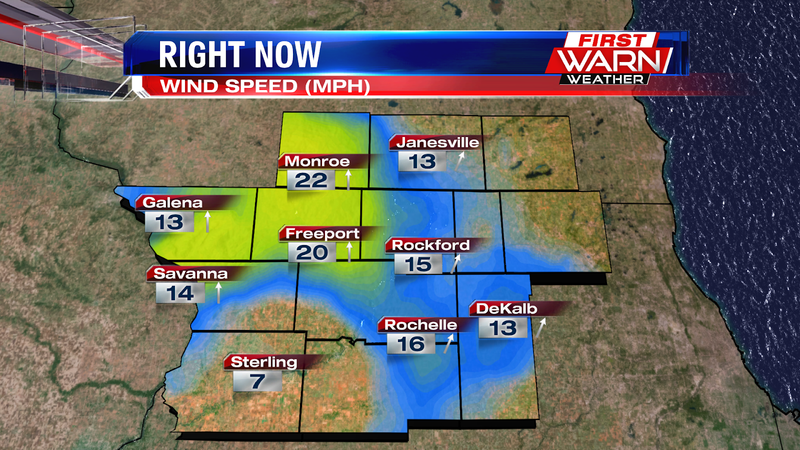 Winds will be sustained anywhere from 15-25mph and gusting upwards of 30mph. Before the front moved through this morning, the approaching showers and thunderstorms could be seen off in the distance. I took this video to capture the cloud to cloud lightning off in the distance. 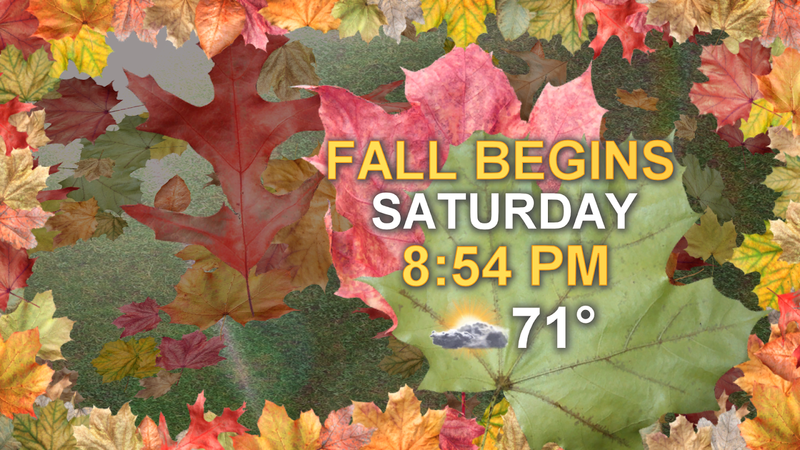 Fall begins tomorrow at 8:54pm, and it will definitely feel like fall with temperatures in the upper 60s to lower 70s. 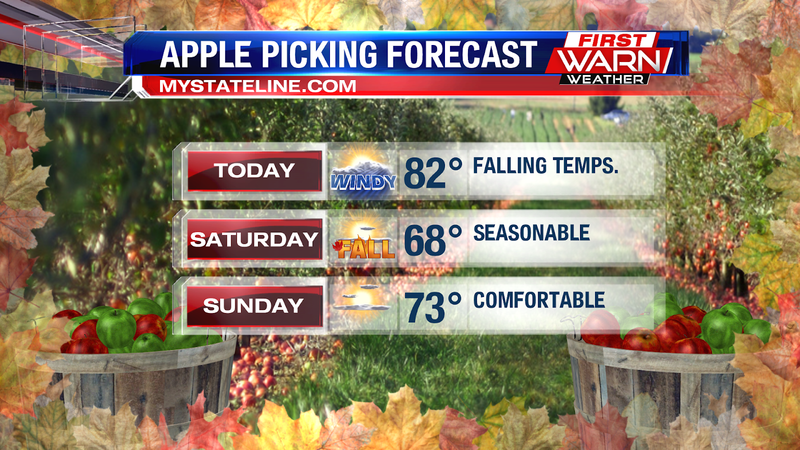 The forecast for the weekend will be perfect for apple picking. 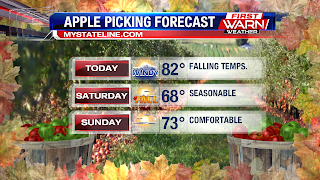 Temperatures will be seasonable both Saturday and Sunday with partly sunny skies. We will keep the seasonable temperatures going into next week with our next chance of rain not coming until Monday evening and into Tuesday. Gusty southerly winds Thursday evening have kept temperatures in the low to mid 80's - still nearly ten degrees above the average high! Temperatures will remain in the 80's through about Midnight, before dropping into the 70's during the overnight. Even though Friday morning temperatures will be in the 70's, but then are expected to hold steady, or even drop a little, by Friday afternoon. Those numbers will be in the 60's by the afternoon. 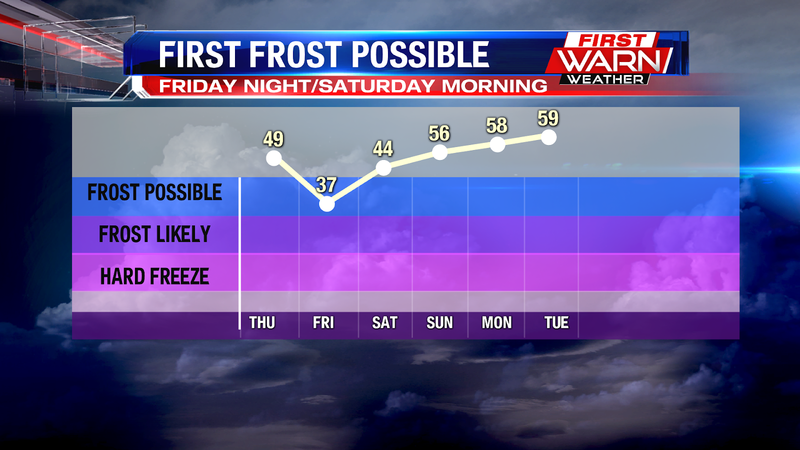 Overnight lows will drop into the mid and upper 40's by Saturday morning. 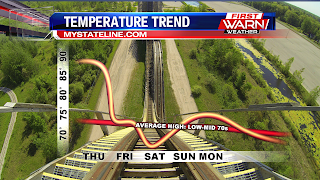 All aboard the temperature roller coaster! Please keep your arms and legs inside the car while the ride is in motion. 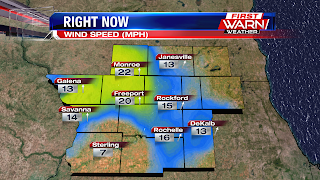 It's going to be a warm and windy Thursday throughout the Stateline. 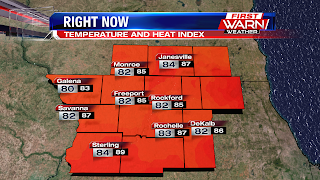 Highs today will warm into the upper 80s to near 90°. Lows tonight will remain mild in the low 70s, and that will more than likely also be our high for tomorrow because temperatures will be tumble. A cold front slides through early Friday bringing a round of showers, continued windy conditions and cool air behind it. 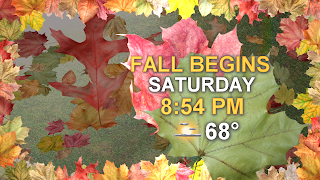 Highs on Saturday will top out in the upper 60s and lower 70s. Low and mid 70s stick around into early next week, and that's exactly where we should be for this time of the year. Not only will temperatures be the story over the next few days, but also the flooding potential along the Pecatonica River in Freeport. 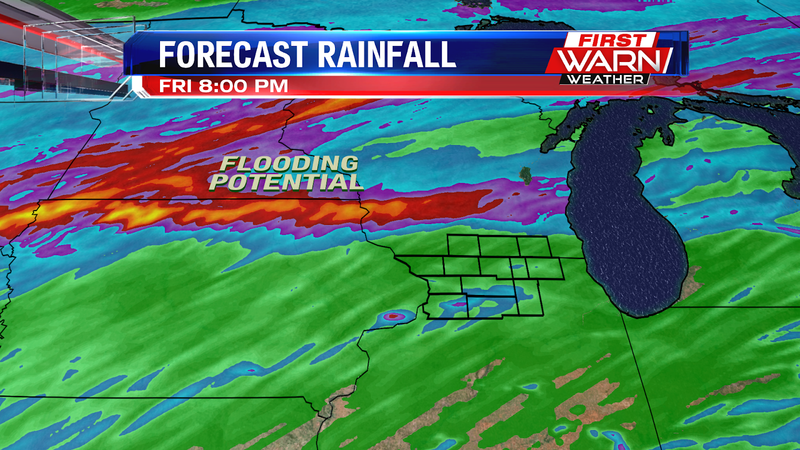 The flooding potential is due to heavy rain throughout southern Wisconsin. As of this morning, the stage was just over 9 feet and will continue to rise to over 13.5 feet by Monday evening. Flood stage is at 13 feet. 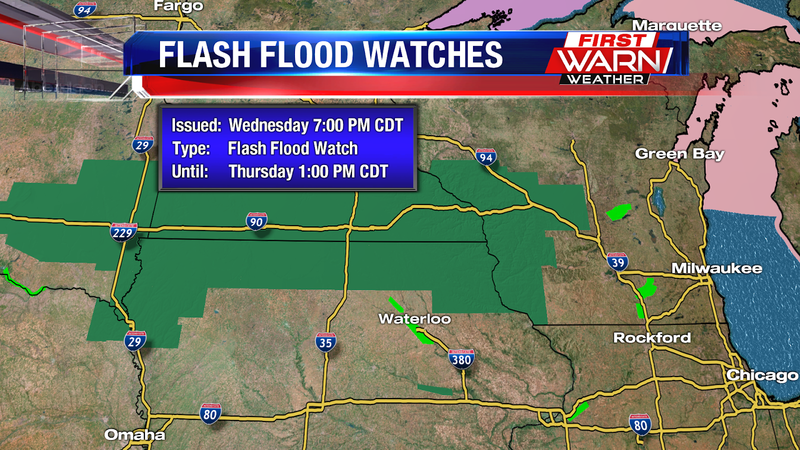 Flash Flood Watches have been issued for parts of Wisconsin, Minnesota and Iowa in anticipation of heavy rainfall late Wednesday night and early Thursday morning. Thunderstorms have already started to develop over northern Iowa this evening and will only grow in coverage during the night. Thursday morning. 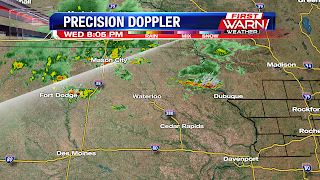 Stronger thunderstorms are possible over Iowa and Wisconsin, but some storms locally could produce hail - especially with any of the storms that develop after Midnight. 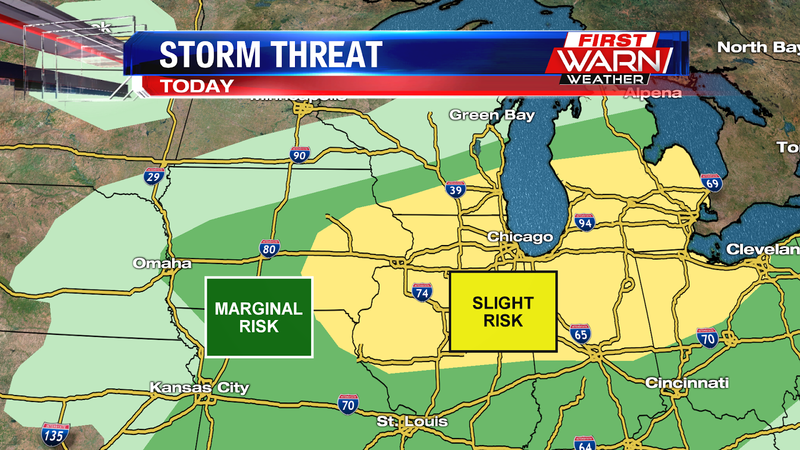 A Marginal Risk for strong thunderstorms does exist for parts of the Plains, Iowa, Minnesota, southern Wisconsin and northern Illinois. overnight could allow for nearly two to four inches of rain to fall where the Flash Flood Watches have been issued. 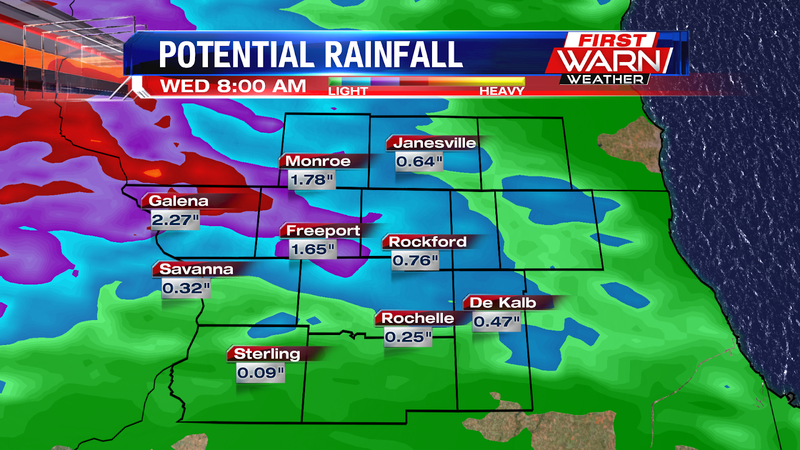 Closer to home another half an inch, up to an inch, of rain could fall through Thursday morning. Temperatures the past couple of days have stayed in the low to mid 70's thanks to an abundance of cloud cover and rain. But a shifting wind following a warm front late Wednesday night will give temperatures quite a boost, back into the upper 80's and low 90's Thursday afternoon. Winds will increase from the southwest on Thursday, gusting at times near 30 mph. 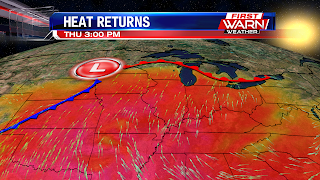 Temperatures will remain very warm Thursday evening ahead of a cold front that will bring strong to severe thunderstorms over Wisconsin, Minnesota and Iowa during the evening Thursday. Once the front passes early Friday, winds will shift around to the northwest, gusting once again near 30 mph. Temperatures early Friday will start off mild but then quickly fall back into the upper 60's by the afternoon. 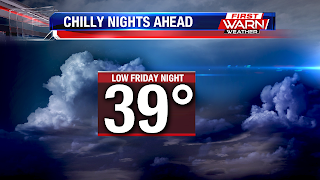 Overnight lows Friday night will drop back into the 40's. Highs over the weekend will feel more like fall - averaging the low 70's Saturday and Sunday. An even bigger cool down is possible, though, towards the end of next week! 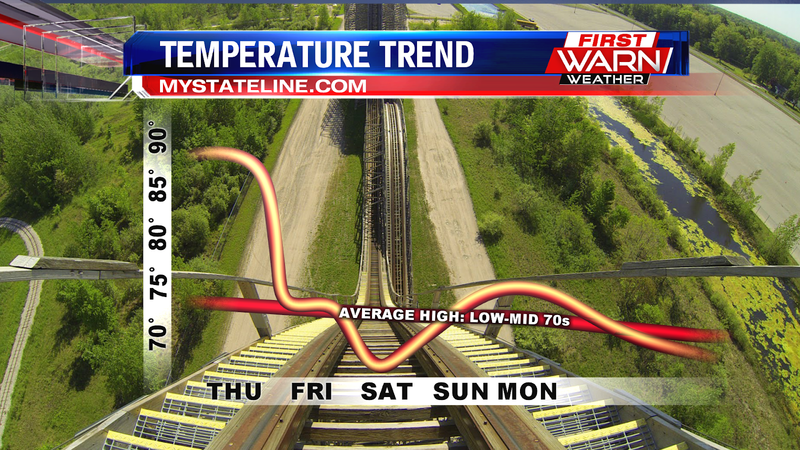 It's going to be a roller coaster ride for temperatures over the next 7 days. Today we will see temperatures warming into the mid 70s. 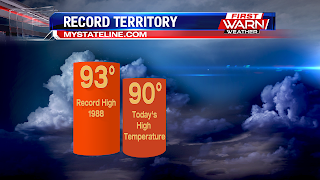 Going into tomorrow, we will be approaching record territory with highs warming into the upper 80s and low 90s. 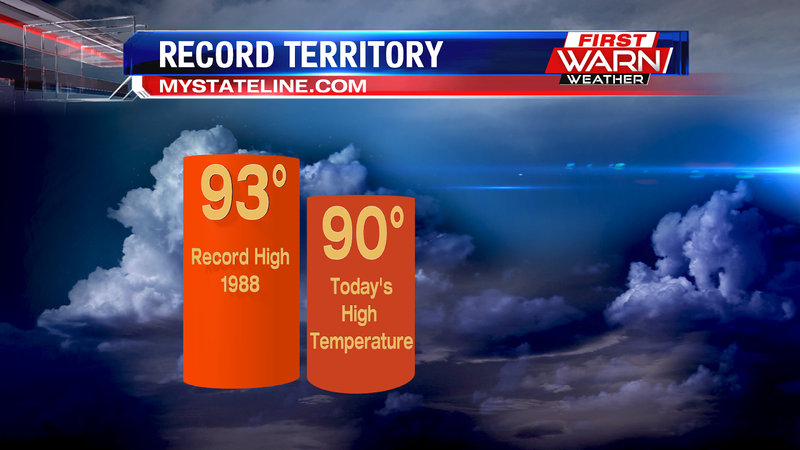 The record stands at 92° set back in 1920. 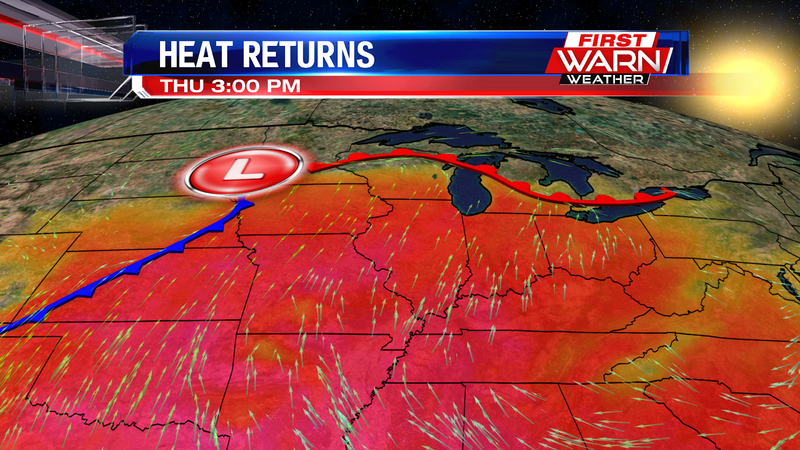 The brief return of the heat is thanks to a warm front lifting though. In addition to the heat, we will also see windy conditions. Winds Thursday will be sustained 10-20mph and gusting upwards of 30mph. 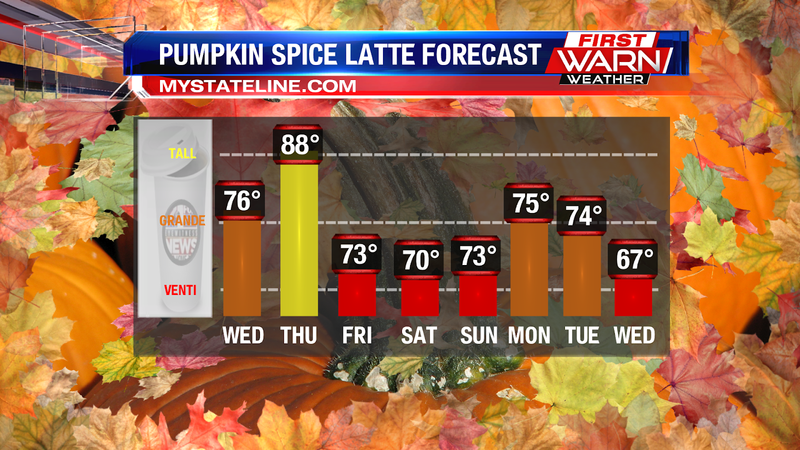 Fall begins Saturday, and that means that it is also pumpkin spice latte season. With that said, you'll probably only want a tall pumpkin spice latte tomorrow, unless it's an iced one! 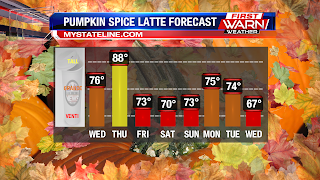 On the other hand, you are definitely going to want a venti sized pumpkin spice latte this weekend as temperatures will be seasonable, in the lower 70s, for the start of fall. Overnight lows this Friday and Saturday will dip down into the upper 40s. 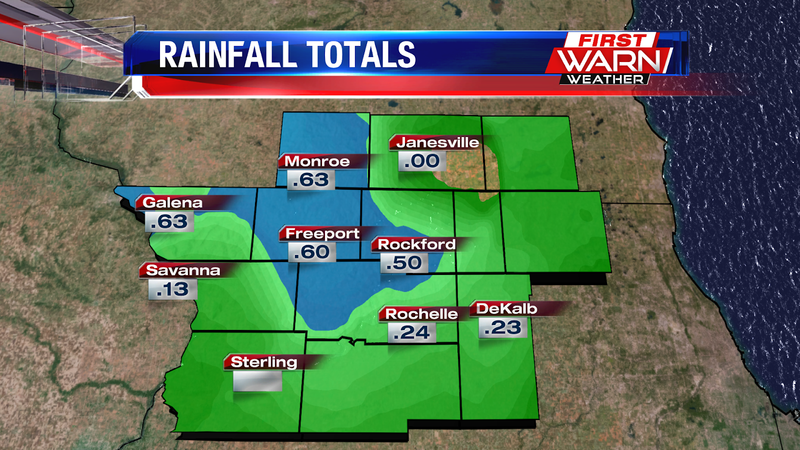 The heavy rainfall from Tuesday morning and afternoon has come to an end with only a few light showers and sprinkles remaining Tuesday evening. 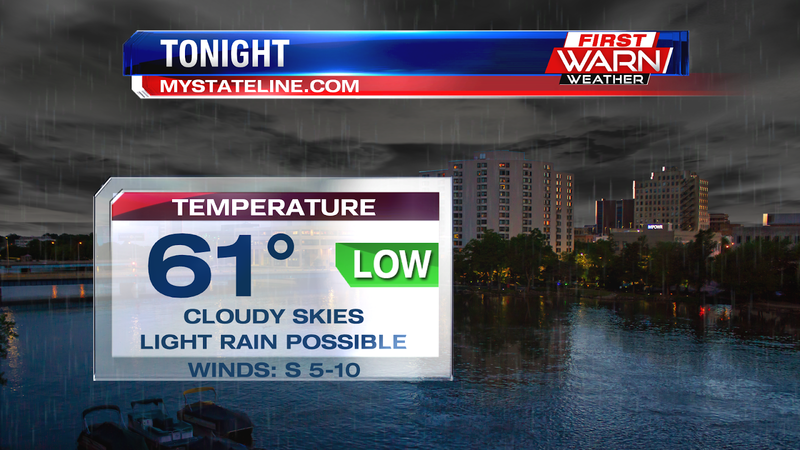 Under mostly cloudy skies temperatures will remain in the low 60's during the overnight. 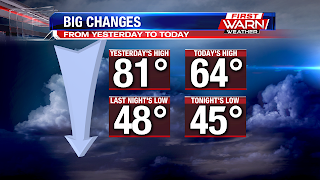 Unfortunately highs didn't warm as much as hoped, staying in the upper 60's and low 70's Tuesday afternoon. 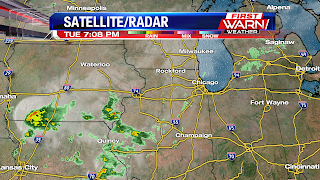 While most of the night will remain dry, showers and thunderstorms will move back in Wednesday with the arrival of an upper level disturbance. Rain and thunderstorms should increase in coverage through late morning and early afternoon Wednesday. 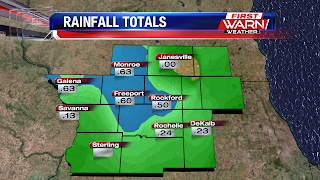 Rainfall totals Tuesday ranged anywhere from a quarter of an inch, all the way to an inch in some spots. 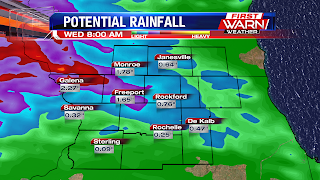 Additional rainfall Wednesday and Thursday may bring another one to two inches for northern Illinois and southern Wisconsin, with higher amounts to the northwest in Iowa and Minnesota. 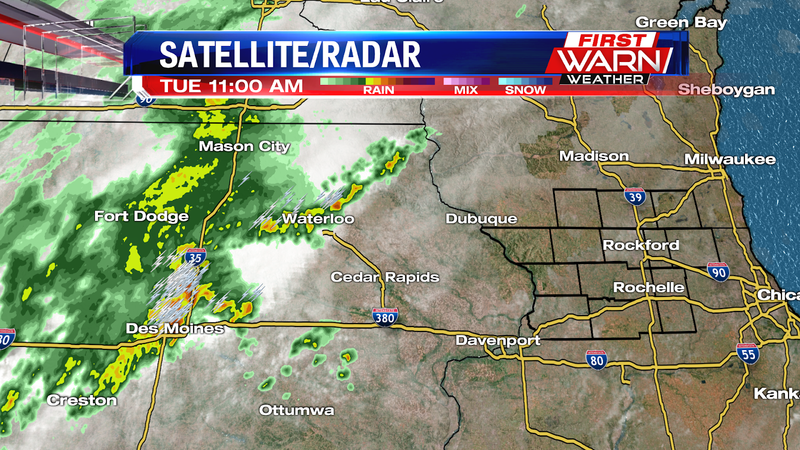 Showers and thunderstorms have been moving throughout the area all morning. 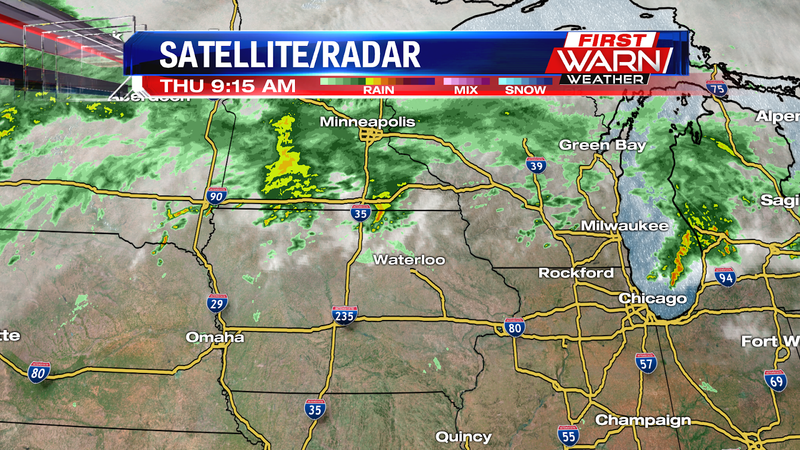 This rain is associated with a cold front that will slowly dip down into our neck of the woods. 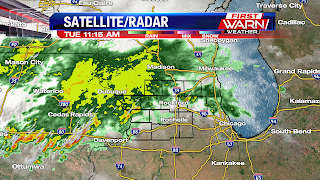 As it slowly slides south, more rain is expected throughout the rest of the day, Wednesday, Thursday and early Friday. 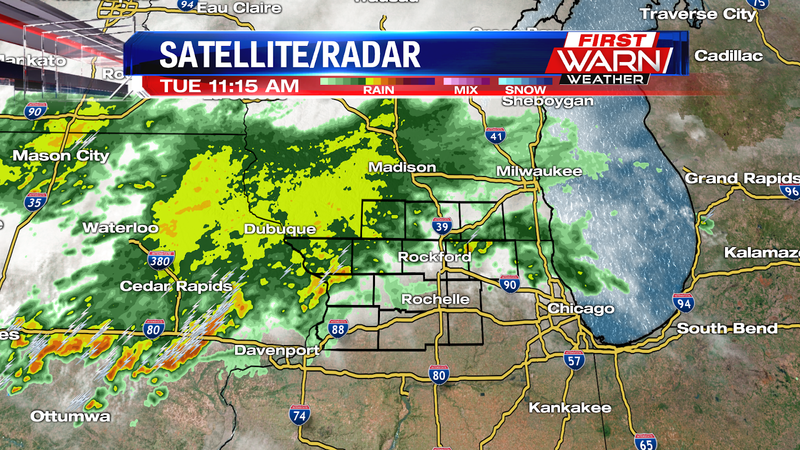 The heaviest rain will fall off to our west and north. 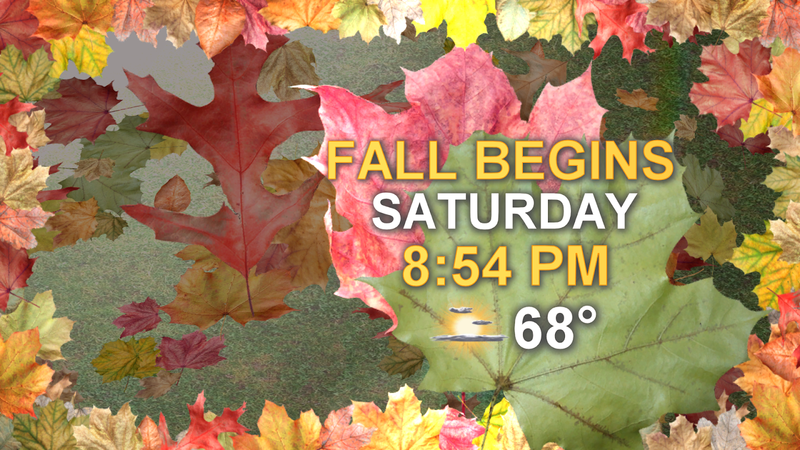 Meteorological fall began on September 1st, but the Autumn Equinox falls this Saturday at 8:54pm. 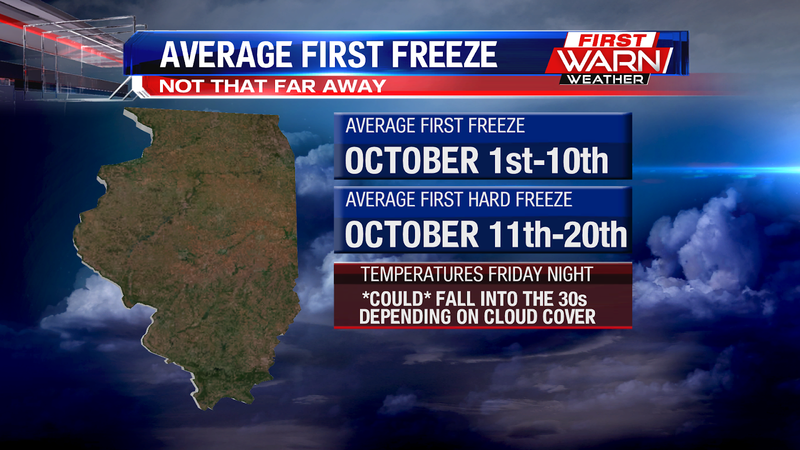 Temperatures to start off the fall season will be seasonable. High temperatures Friday and into the weekend will be in the lower 70s, which is right where we should be for this time of the year. It's been a copy and paste forecast for over the last week. Our dry stretch of sunny days will be coming to an end after today. 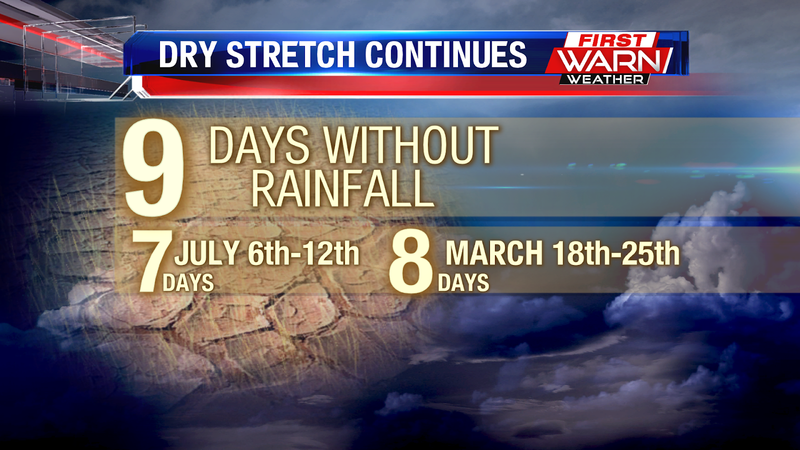 When today is all said and done, we will have went the last 10 days without any rainfall. 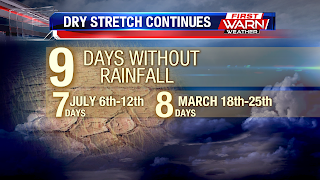 Not only will the dry stretch be coming to an end, but also the above average temperatures. Today we will see highs top out in the upper 80s to near 90 degrees. Tuesday and Wednesday will be in the upper 70s and lower 80s. Thursday we will briefly bounce back into the mid 80s, but going into Friday and the weekend we will back down around average. Our average for this time of the year should be in the mid to low 70s. Late tonight we will begin to see the chance for an isolated shower return to the forecast. Scattered showers and thunderstorms will be possible Tuesday, and more likely going into Wednesday and Thursday. The rain this week will be nothing compared to the rain that Hurricane Florence dumped over North Carolina. 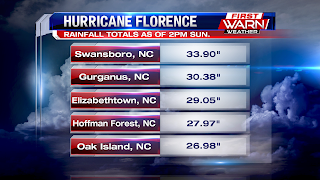 Swansboro, NC picked up 33.90", as of Sunday 9/16/18 at 2pm. 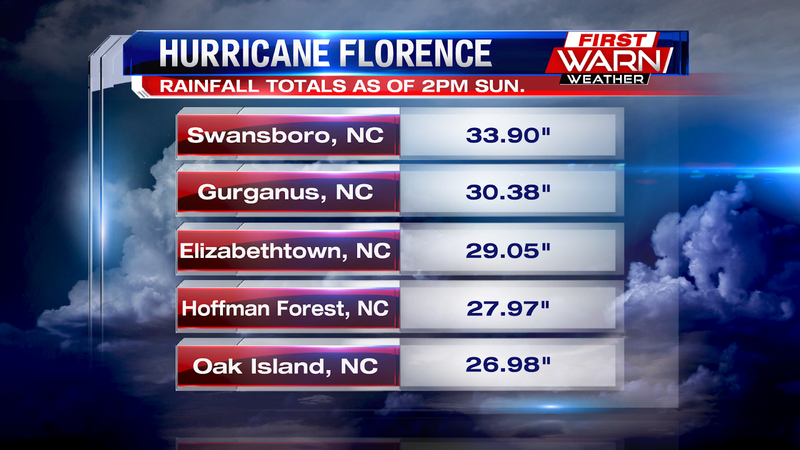 That sets a record for the highest amount of rainfall from a tropical disturbance in North Carolina. Pesky Gordon Finally Moves East . . .